Leave your credit card worries at home, and welcome to the future of payments. myPay strives to replace the slow, cumbersome, outdated cash register found in small businesses world wide. myPay allows customers to use next generation payment systems like Near-Field-Communications to keep their payments safe and secure. It also introduces a whole new level of scalability, data analysis, and data storage for many small business owners. This new platform has brought forth an entire new way for businesses to track individual sales of their entire store, with more ease than ever. Businesses can now measure with incredible accuracy their ability to acquire new customers, as well as view the retention they have amongst their most loyal. 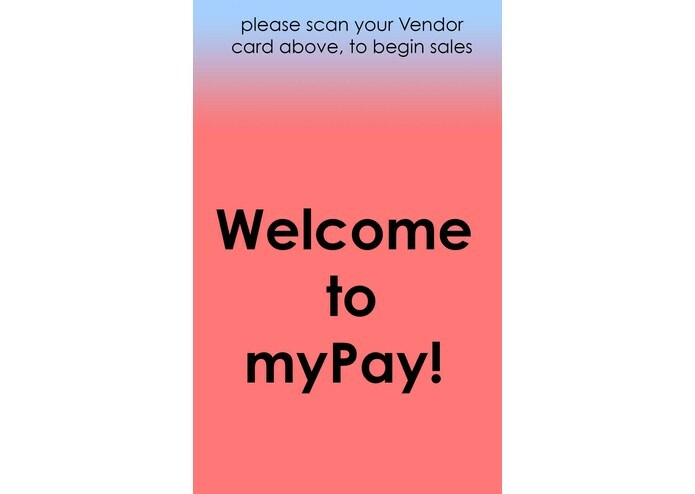 myPay was build on top of the Android platform. Facebook's Parse database is what handles most of myPay's data storage needs. To handle PayPal transactions, myPay has a Node.js server being run on the backend, hosted by Microsoft Azure's cloud platform, to make transactions with the PayPal API.